If you don't have time to hit the bar to play a game of foosball, you could settle for a virtual version that consists of playing a game of foosball on your smartphone. We have found five foosball apps that are bound to strike up an interest in any foosball player, regardless of skill. Continue reading for reviews about five of the best foosball iTunes and Android apps that will satiate your urge to play foosball. Everyone in the foosball gaming community seems to agree that the Foosball Cup by Ludus Studio is one of the best foosball apps that both Android and iPhone users can have fun with. On Android platforms alone, this foosball app has 13,000 downloads, which is pretty impressive for a game that has such a specific niche. Gaming applications on smartphones have become so advanced that they tend to look like the real thing. The same is true about Foosball Cup since you’ll feel as if you’re playing foosball on an actual foosball table. The app is built to have highly responsive controls, which comes in handy in a game like foosball. Most foosball apps have issues with their controls. You can imagine the frustration those who’ve played foosball for years have to put up with because the controls can’t match their level of expertise. Even if you believe that the controls of Foosball Cup don't agree with your hand-eye coordination, you can alter them in settings. Along with the excellent controls, the Foosball Cup application caters to realistic physics, so every movement you make will have an impact on your overall performance. You could even improve your real-life foosball skills when you practice playing Foosball Cup. Let's Foosball Lite By Nieo Tech Co., Ltd.
Android users are out of luck when it comes to Let's Foosball Lite because you can only play foosball on iPhone with this app. However, if you happen to have an iOS device, this foosball mobile game will operate smoothly with no hiccups because it was specifically built for your smartphone. 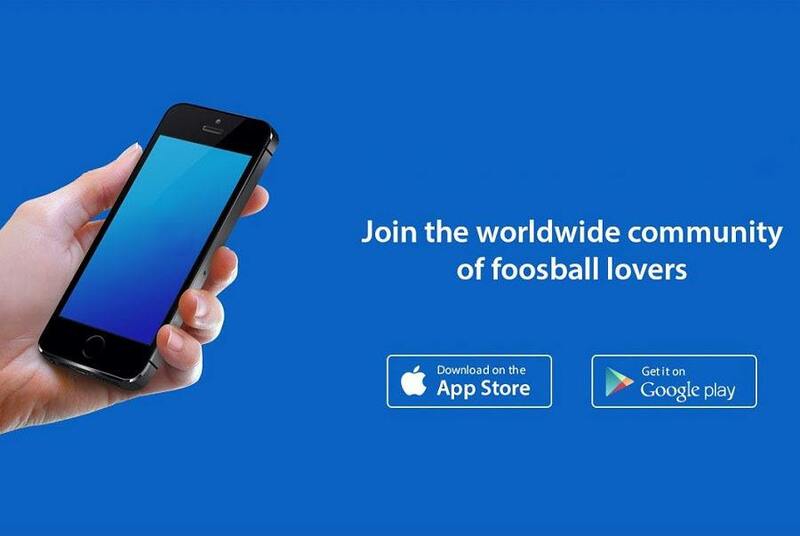 Let's Foosball Lite is one of the few foosball apps to cater to multi-players since it comes with multi-touch control. This is only one of the many features that sets this foosball app apart from the rest of its competition, which explains its 4.1 rating on iTunes. Whether you're a novice or a master in foosball, Let's Foosball Lite will suit any skill level. When you open the app, you'll have three options to choose from Free Play, 2 Players Vs., and Challenge. Free Play consists of four difficulty levels that vary from easy relaxation to hard training. You could also choose the multiplayer mode, which can be fun when you want to challenge your friends to a match. Challenge will connect you with powerful opponents who are also playing foosball on this app so you can figure out if you’re truly as skilled in foosball as you say you are. Foosball by Illusion Labs is another foosball mobile game that’s only available on iOS devices, so Android users should keep going down our list. Illusion Labs has made a reputation for itself in the gaming community since it has released over ten games that are gaining popularity in the App Store. So it shouldn’t come as a shock that Illusion Labs have gone above and beyond with their latest version of Foosball. When we say that the Foosball app is easy to play, we mean that it won’t cause you any stress due to technical problems. Illusion Labs relied on actual 3D physics along with realistic sound effects to give you a virtual reality experience of playing foosball without actually putting the VR headset on. The controls are both responsive and intuitive, so every time you move your finger across the screen, it’ll move the ball wherever you want it to go. Those who want to take is easy can opt out of the Medium and Pro levels and can settle for Easy Mode. There is no shame in getting used to the game before you go ham playing it. 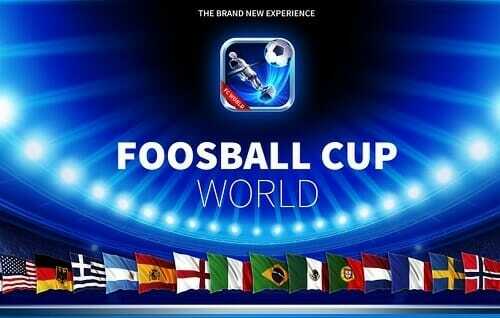 Foosball Cup World comes from the same creators of Foosball Cup- Ludus Studio. 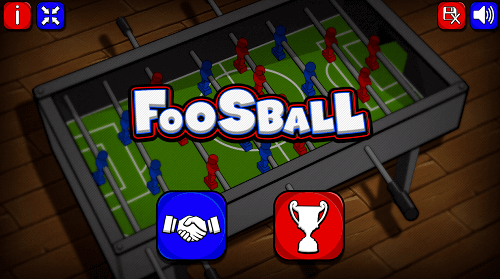 When compared to its predecessor, Foosball Cup World has twice as many downloads because it caters to an even bigger market, it combines world sports with foosball. Ludus Studio had to go above and beyond with Foosball Cup World, so they went crazy by creating new game modes as well as improving the overall physics of the game. 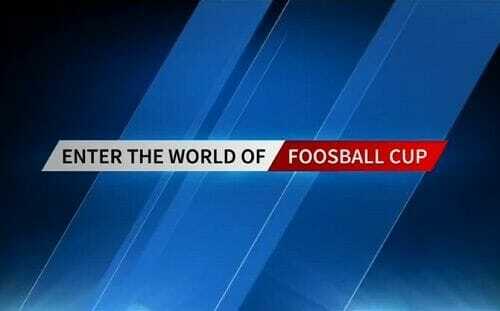 If you have already played Foosball Cup, then you should give Foosball Cup World a try. The initial reaction of most gamers when they play Foosball Cup World for the first time in awe because of its stunning new graphics. Moving onto the new game modes, you have three options to choose from: World League, Tournaments, & Challenges. When you play the World League, you have 51 national teams to either play with or against in various modes. Imagine all the fun you'll have to try to beat foosball gamers on an international level. 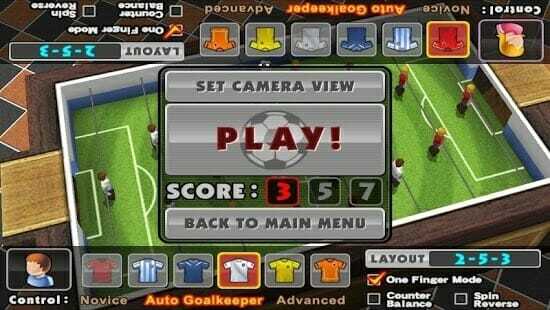 All the issues and bugs that were associated with the original Foosball app by Ludus Studio were dealt with in this version. For instance, there is an improved physics system in play that permits more dynamic games than its predecessor could allow. 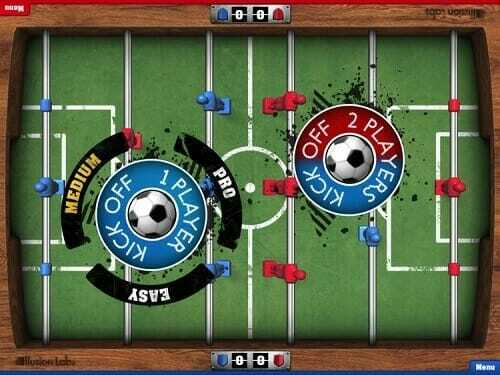 A foosball mobile game that's only meant for Android smartphones is the Foosball by Raise IT Solutions. This game is an up and comer in the foosball app market because not many people have heard about it yet. It received its last update in 2017 and had over 1,000 downloads, which isn't bad for an app that isn't updated once every couple of months. If you don't have much space left on your Android, you don't have to worry about downloading Foosball by Raise IT Solutions. It only takes up 1.5 M of your storage, which is a minuscule amount compared to some of the foosball apps we mentioned above. If you’re looking for a foosball mobile game that doesn’t come with fancy features and just gets straight to the point, then Foosball by Raise IT Solutions is the game for you. Before you play, you’ll be presented with two options, either play against the computer or challenge a friend. In regards to the game modes, you have Scrimmage and Championship to choose from. There is nothing else to playing the game other than what we have presented above. If you’re a seasoned foosball mobile game player, you have already downloaded a couple of the apps on this list. Hopefully, we have given you some new choices to practice your foosball skills. Even the most basic game can improve your skills, so don’t dismiss any of the foosball apps recommended above.